Buyers, read this Before you start looking! As a buyer, it costs close to nothing to hire a real estate professional to help you find and purchase a home - your Realtor will likely get a portion of the commission the seller pays to his Realtor. Having representation is always a better place to be than in the hands of the seller - who will certainly control the transaction! When deciding what kind of housing you will need, don't think just for today, but also five years from now. Sometimes, a shorter term mortgage might be a better solution than getting locked into a longer term based on your today's situation. Global Axellence, Inc. will assess your overall situation and provide you with recommendations not only in your home search but also in your financial needs. With Global Axellence, You are in Good Hands! We will select carefully and negotiate for you to walk you through each step in order to complete the best investment on your home while following the highest standards to make sure you are not at risk. In a hot market, more and more buyers pay by cash, which can give them a distinct advantage in bidding situations. If all else is equal, an offer from a cash buyer will trump one from a buyer who requires financing 100 percent of the time. 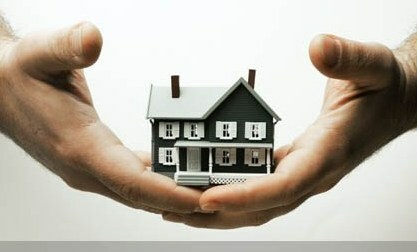 We will put you in touch with an experienced professional Mortgage Broker to assist you in obtaining a loan. Contact us! Reuters News offered guidelines for homebuyers looking for a real estate professional. 2. Likeable. The practitioner doesn’t have to be the buyer’s best friend, but she has to be someone the buyer likes to be around. 3. Knowledgeable. Knowing the target neighborhood is very important. 4. Smart. Familiar with the complexities of the mortgage process and able to negotiate the legal details of buying a home. 5. Licensed. Being licensed and insured is important in this litigious world. 6. Capable. Able to close deals quickly and efficiently. 7. Good connections – able to recommend capable service providers. 8. Quick with references. Former clients must be willing to speak up. "Axelle is a hard worker always on top of her files, checking for perfection, always present at the closings with her clients, very professional, very good at returning phone calls or emails; She is awesome." - Mercedes A., Processor/Closer at Greater Florida Title, Orlando FL.